We have watched, read and followed with serious concern the lies being sent out to the media and the public by officials of the Niger State Government and Niger State Command of the Directorate of State Security Services (DSS) regarding the illegal arrest and detention of Mr. Fejiro Oliver, a journalist and activist, in a desperate attempt to justify their brutal violation of his fundamental human rights and deceive credulous members of the public. We therefore deem it most expedient to issue this press statement to enable the unsuspecting members of the public situate the issues and facts properly. Several Media platforms have reported and aired the comical display that took place on Monday 22 September, 2014 at the DSS Office in Minna, Niger State, where Fejiro was ‘paraded’ like a common criminal before the media by the Director of DSS in the state, Mr. Larry Obiagwu for allegedly “blackmailing and attempting to extort the sum og N50 million naira from the Niger State Government”. Before going into the kernel of this unsubstantiated and frivolous allegation leveled against Mr. Fejiro for daring to demand accountability from the Niger State Government, we wish to clarify and state the following facts which the DSS and the Niger State Government are trying to twist and exploit negatively. Firstly, we agree that Fejiro Oliver is a pseudonym (pen name). His native name is Tega Sampson Oghendoro. We have consulted many authoritative legal sources and the irresistible conclusion is that there is no provision under any legislative enactment criminalizing the use of pseudonyms for lawful purposes in Nigeria. We challenge his accusers to negate this conclusion. The practice of writers and journalists using pen names (pseudonym) instead of their native names is well rooted in history, both in Nigeria and abroad. In this wise, few examples will suffice. The Late Chief Idowu Odunewu, a former Editor-In-Chief of Daily Times and Managing Director Director of Nigerian Tribune, used the pseudonym (pen name)-‘Allah De’ for the greater part of his practice as a celebrated journalist. Also, Chief Tola Adeniyi, a former Managing Director of Daily Times operates with a pen name-‘Abba Saheed’. Outside of Nigeria, Charles King Moreland jr, a poet and journalist, and Jill Stacey Moreland a journalist and social critic are largely known by their pen names; Askia Muhammed and Itabari Njeri, respectively. So what is the cacophony about? The DSS accused Fejiro Oliver of blackmailing government officials and corporate bodies but they failed to supply any modicum of evidence to support it. Secondly, the DSS is trying to make a mountain out of the fact that Fejiro Oliver (Tega Sampson Oghenedoro) is a staff of the Nigerian Television Authority (NTA). Whether it is proper or not for him to engage in his online media activities with Secrets Reporters, Elombah.com or Daily Voice NG despite working for the NTA is not in the mouth of the Niger State Government and the DSS to say. It is not and should never be their business. There is absolutely no crime in this. Fejiro Oliver to our knowledge, was already planning his official exit from the NTA which he has been serving meritoriously. He never represented himself to the Secretary to the Niger State Government, Alhaji Saidu Idris Ndajo Kpaki and the Chief Press Secretary to Governor Mu’azu Babangida Aliyu, Mr. Israel A. Ebije, as a staff of the NTA. He never represented to them that his investigations into the activities of the Niger State Government was in pursuit of his job as a staff of the NTA. So when did his being a staff of the NTA became an issue to the DSS and the Niger State Government to warrant this shameless display of raw power? Thirdly, we wish to let Nigerians know that the Fejiro Oliver that the DSS is trying to portray is totally different from the Fejiro Oliver that we know. The Fejiro Oliver that we know is a well educated professional, he is a father, his wife is a professional while the father is a well to do engineer. He comes from a disciplined Christian family and has never been reported to had engaged in any criminal activity. His only misfortune is his strong passion and determination for a sane, corrupt free and democratic Nigeria where leaders are accountable. This is the very driving force of his online media activities. On the allegation that Fejiro “blackmailed” and “attempted to extort N50 million naira from the Niger State Government to kill a story”, we are appalled at the level of degeneration of the Nigerian political class and the condescending posture of the DSS. This allegation on the face of it is mendacious and utterly frivolous. 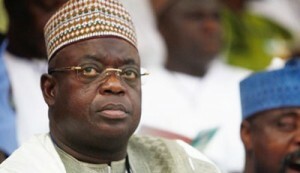 While we are not God to know the inner mind of Fejiro Oliver, we dare say that at no time did Fejiro demand for such huge sum of money or any sum at all from the SSG of Niger State or the Chief Press Secretary to governor Babangida Aliyu who are the two officials he has had communications with after his investigations. The decision to meet with SSG of Niger State in Abuja, though seen by some as improper, was made by Fejiro after persistent pressures and assurances of his safety by the SSG who had suggested Minna for their meeting but which Fejiro rejected, preferring Abuja for security reasons. The SSG offered to pay for his air fares and asked him to send his account details since the meeting was at his instance but Fejiro being who he is rejected the monetary offer. He later gave the SSG the allowance to book his flight which he did through one of his aides. Nigerians should ask the SSG whether this is true or false. He should tell us who booked and paid for Aero flight; Asaba to Abuja of Friday 19/09/ 2014 and Abuja to Asaba of Monday 22/09/2014 with booking reference-7F9CS1 and who owns the email address ‘[email protected]’ with which the flight details was sent to Fejiro? Contrary to the reports that he went to collect money from the SSG, the truth is that Fejiro’s sole purpose was to interview the SSG based on the outcome of his extensive investigations and discoveries which are backed by authentic documents. The Niger State Government is not denying this fact. They have even said they know the person who in their opinion, leaked those documents and that the said person has been sacked. One of the main grouses of the Niger State Government is the refusal by Fejiro to reveal his source despite their pressures, which no sane journalist should do. The GSM text messages exchanged and calls made between Fejiro Oliver and the SSG and the CPS to the governor can be obtained from service providers. Some of the said text messages are already in the public domain by his accusers for the whole world to see. Fejiro never intended to meet the SSG alone in Abuja, he was to do so in company of two other media colleagues one of who is also an online media publisher who was to pick him up from the Nnamdi Azikiwe International Airport, Abuja, but had lost contacts with Fejiro upon his arrival, not knowing that he had been handcuffed and whisked away to Minna. Fejiro never thought of a clandestine venue for their meeting. The venue he gave the SSG is a well known public place in Maitama, Abuja. If actually there was a sting operation by the DSS to nab Fejiro, it would have ended at the point of collection of the N50M they claim he demanded with a video record duly made as was the case with Hon. Farouk Lawan, not at the airport. It sounds wired to talk of “attempting to extort” in a so-called sting operation. It just does not make sense at all. So far, there is no iota of evidence, not even indirectly, supporting the allegation that Fejiro demanded any money. That he agreed to meet with the SSG on his plea for him to furnish Fejiro with the government side of the story does not make him a blackmailer. Are the above facts which his accusers are aware of but have not revealed consistent with the allegation that he was going to collect N50m? 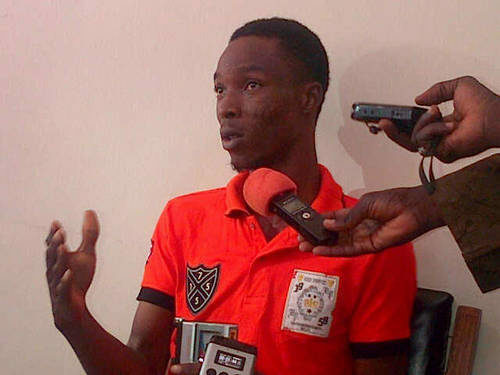 Even a primary school pupil will ask what Fejiro, a young journalist in his late twenties, will be demanding an outrageous FIFTY MILLION NAIRA for? This is a senseless accusation that can never, never be proved. Were Nigeria a sane country where the rule of law reigns, the issue of a journalist going to meet with the official of a government he has been critical of for a face to face interview would not have arisen in the first place. The ongoing persecution of Fejiro Oliver for what should have been a routine action of an investigative journalist is a clear indictment on the Nigerian society. We insist that Fejiro Oliver is innocent of the charges. We insist that it is the Niger State Government that should be on trial for the wastages and failures which Fejiro Oliver had uncovered in the course of his investigations. Fejiro in a GSM phone call on Tuesday 24 September, 2014 has informed us that offers have been made to him on the condition that he will drop his reports into the activities of the Niger State Government in exchange for his freedom but that his rejection of same and refusal to disclose his source is the reason for his continued incarceration. We appreciate the efforts of the human rights community, the media, and all spirited Nigerians who have took it upon themselves to stand by an innocent activist and journalist whose right is being violated through the abuse of a critical state institution. We urge the DSS to focus on the security challenges bedevilling our nation and not allow a state government that is being haunted by the ghost of stewardship to derail it core mandate. The DSS should not be seen as a ready tool that the political class is using for vindictive aims. We demand the immediate and unconditional release of Fejiro Oliver. Let it be on record that this brutal violation of the fundamental rights of Fejiro will not go to unchallenged. Nigeria may be a lawless country, but it is definitely not a failed state. The oppressors can only detain Fejiro; they can never detain the truth. A stitch in time saves nine.